The Governor of Arunachal Pradesh Brig. (Dr.) B.D. Mishra (Retd.) and Chief Minister Pema Khandu have extended their heartiest greetings to the people of the State on the festive occasion of Durga Puja and Dussehra. In his message, the Governor said that Durga Puja and Dussehra signify the triumph of righteousness over evil. The festivals remind all of the power of ethical and moral behaviour and the value systems which are the bedrock of the society. He expressed his hope that the festivity will inspire all to be honest, accountable and disciplined and reinforce the spirit of virtue in them to fight against all social evils. May Durga Puja and Dussehra this year usher in happiness and prosperity for all, the Governor wished. Chief Minister Pema Khandu has extended greetings on the festive occasions of Durga Puja and Dussehra that begins officially tomorrow. 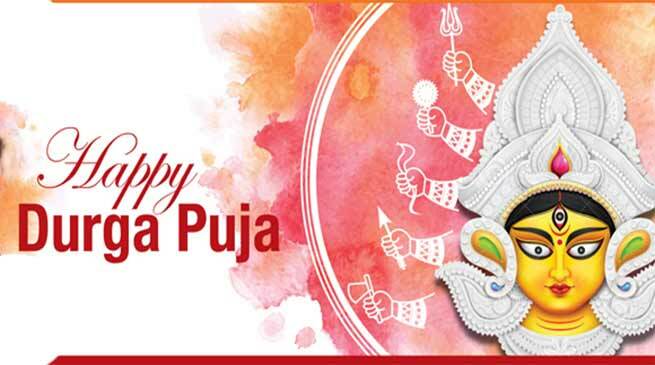 While Durga Puja marks the battle of Goddess Durga with the powerful buffalo demon Mahishasura, and her emerging victorious over the evil, Dussehra celebrates the victory of Lord Rama over the evil Ravana. “Though the festival is celebrated with different themes in various parts of the country, it unanimously marks the victory of Good over Evil. Not only that, it also is in part a harvest festival that marks the goddess as the motherly power giving rise to all life and creation,” Khandu observed in a message here this evening. He expressed hope that the festival would enlighten everybody that evil never wins in the long run. “The message of the festival is quite significant for us. Let us shun evil and lead a life of peace and harmony. Crime and criminals will never escape the grip of justice. I pray Goddess Durga to bless our people with health, wealth and purity,” Khandu added.